Protectionism is the practice of following protectionist trade policies. 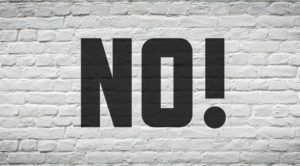 A protectionist trade policy allows the government of a country to promote domestic producers, and thereby boost the domestic production of goods and servicesGross Domestic Product (GDP)Gross domestic product (GDP) is a standard measure of a country’s economic health and an indicator of its standard of living. Also, GDP can help compare the by imposing taxes or otherwise limiting foreign goods and services in the market. Protectionist policies also allow the government to protect developing domestic industries from established foreign competitors. The taxes or duties imposed on imports are known as tariffsTariffA tariff is a form of tax imposed on imported goods or services. Tariffs are the common element in international trading. The primary goals of imposing. Tariffs increase the price of imported goods in the domestic market, which, consequently, reduce the demand for them. Consider the following example, which analyzes the UK market for US-made shoes. Due to the imposition of tariffs, the price for the product increases from GBP100 (P1) to GBP120 500 (P2). The demand for US-made shoes in the UK market decreases (from Q2 to Q4). QuotasImport QuotasImport Quotas are government-imposed limits on the quantity of a certain good that can be imported into a country. Generally speaking, such quotas are put are restrictions on the volume of imports for a particular good or service over a period of time. 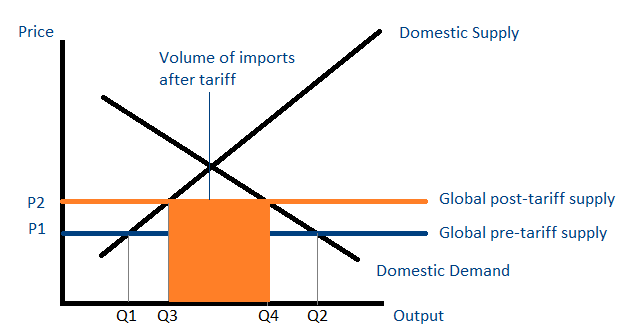 Quotas are known as “non-tariff trade barrier.” A constraint on the supply causes an increase in the prices of imported goods, reducing the demand in the domestic market. Subsidies are negative taxes that are given to domestic producers by the government. They create a discrepancy between the price faced by consumers and the price faced by producers. The government of a country may require all foreign products to adhere to certain guidelines. For instance, the UK Government may demand that all imported shoes include a certain proportion of leather. Standardization measures tend to reduce foreign products in the market. An economy usually adopts protectionist policies to encourage domestic investment in a specific industry. For instance, tariffs on the foreign import of shoes would encourage domestic producers to invest more resources in shoe production. In addition, nascent domestic shoe producers would not be at risk from established foreign shoe producers. Although domestic producers are better off, domestic consumers are worse off as a result of protectionist policies, as they need to pay higher prices for somewhat inferior goods or services. Protectionist policies, therefore, tend to be very popular with businesses and very unpopular with consumers. Lower imports: Protectionist policies help reduce import levels and allow the country to increase its trade balance. Stagnation of technological advancements: As domestic producers don’t need to worry about foreign competition, they have no incentive to innovate or spend resources on research and development (R&D)Research and Development (R&D)Research and Development (R&D) is a process by which a company obtains new knowledge and works on the introduction and improvement of its products and of new products. Limited choices for consumers: Consumers have access to fewer goods in the market as a result of limitations on foreign goods. Increase in prices (due to lack of competition): Consumers will need to pay more without seeing any significant improvement in the product. Economic isolation: It often leads to political and cultural isolation, which, in turn, leads to even more economic isolation.